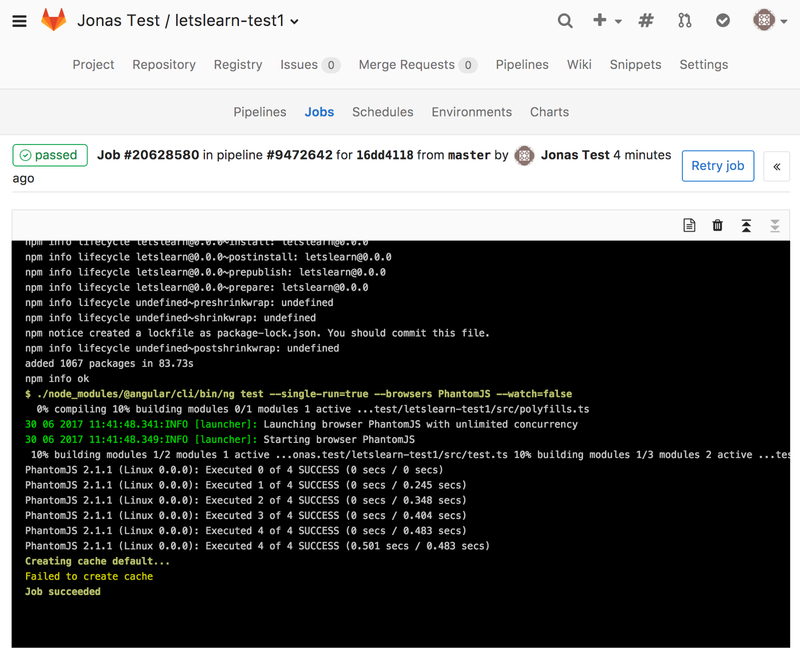 Angular 4 and testing: angular/cli + gitlab-ci + ng test + PhantomJS + TDD. => Please follow us on Twitter & Medium for more! Check out our Angular In-House trainings or a public Angular courses. Try out fossilo.com our angular project to archive complete websites. Always start your projects with continuous integration and testing. Thanks to angular/cli, gitlab-ci and PhantomJs it’s so much fun. Now the default app shows in Browser. Tip by Jonas Bandi: Stay on @angular/cli 1.0.6 to use debugging in your karma tests till the linked issue is solve. Add a test that clicks a button and checks if “points” is increased by one. Booom!!!! You used test driven development. PhantomJS browser needs so called polyfills to run all the nifty JS features used by Angular. This will run PhantomJS instead of Chrome. We need PhantomJS for continuous integration on gitlab-ci. Example with separated build and test jobs by Clayton K. N. Passos. This will make you feel very happy! Integrate it in your projects, do it, celebrate it and you’ll have a totally different feeling in life! You’ll walk the streets bold and know your TDD rocks with CI. Next Step: Continuous delivery with deployment to firebase, google cloud, now, surge or whatever feels right to you. => Please follow on Twitter & Medium for more!